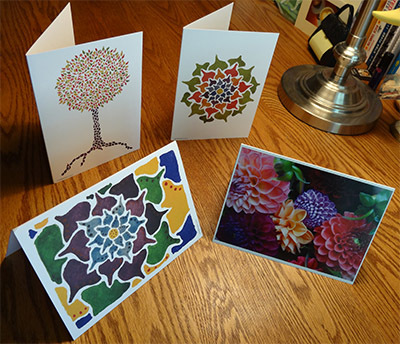 Cards and gifts, featuring painting and photography by Julie Baldwin. Painting is a form of meditation for me. It’s one way that I block out the noise of the world and tap into the deeper parts of myself. Color inspires and soothes me. I love to play with watercolors, mixing and changing colors to bring depth to whatever I’m painting. Because I am highly visual, photography is my favorite way to capture moments when I travel. I look for compositions that draw my attention, that bring a special focus to exploring new vistas. I am so excited to offer some of my paintings and photographs through Zazzle! for cards featuring my painting and photography.